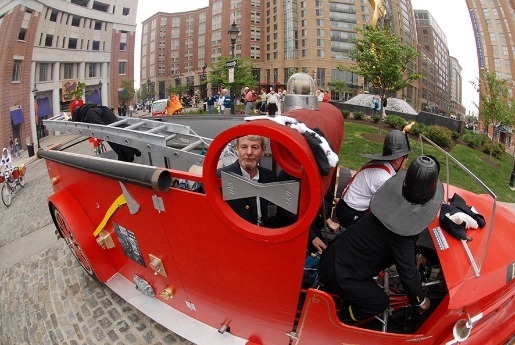 ​Part of the Key West Art & Historical Society's Distinguished Speaker Series, Kinetic Sculpture Artist, Frank Conlan kicks off the Key West Kinetic Weekend with a lecture on his 15-year involvement in the prestigious Baltimore Kinetic Race. 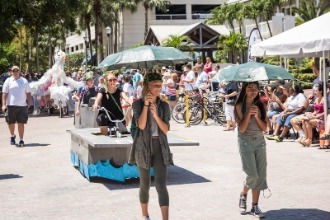 Key West's inaugural Kinetic Sculpture Parade was in May 2016 and soon to be a Key West tradition! K​inetic Sculpture Racing traces its roots to Ferndale, California in 1969 when artist Hobart Brown upgraded his son’s tricycle into a 5-wheeled pentacycle and was challenged to a race down Main Street. (Hobart did not win.) Over the decades since, the California race evolved into a 3-day all-terrain Kinetic Grand Championship including treacherous sand dunes, water crossings, and elaborate sculptures and costumes. In the 1970s, that original racecourse grew and got more technically challenging, spanning three days including major segments on water, mud, and sand dunes along the Pacific Coast. With the expansion of Kinetic Sculpture Races to other locations including Baltimore, the original race is know known as the World Championship. It starts in the town of Arcata, continues through Eureka, and finishes in Ferndale, all within Humboldt County. You can read more about the history of Kinetic Sculpture Races in California and throughout the world on Wikipedia, which also has links to more sources. Take a generous portion of adventure, mix in some garage engineering and creative artistic license, then stir vigorously amongst enthusiastic fans, and you have a recipe for the most kaptivating form of racing: Kinetic Sculpture Racing. Fascinating to watch, Kinetic Sculptures are functional works of engineering art. 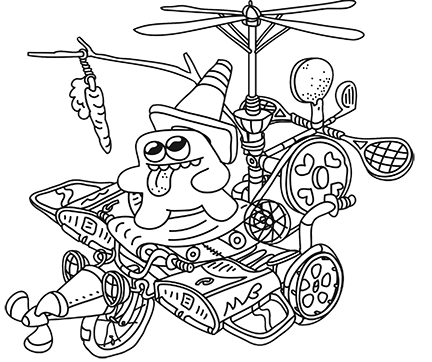 Their designs can vary from simple one-person contraptions, to high tech, multi-pilot marvels with lengths of over seventy-five feet! After the creators of these kineticly inspired dream machines spend weeks, days, and months designing and building their sculptures, they face the challenge of completing a race course consisting of many terrain types. These types of terrain can be as easy as a paved road, or as messy as a sticky quagmire of mud. Sometimes the terrain becomes as dangerous as a choppy bay or a swift flowing river. The origins of this colorful contest of human and machine dates back to Mother's Day 1969 in the quaint Victorian town of Ferndale, California. Before that first race, a local artist named Hobart Brown made a few artistic improvements to his son Justin's tri-cycle. After completion, Hobart displayed the newly created pentacycle in front of his art gallery. A nearby shop owner named Jack Mays created his own kinetic art sculpture and challenged Hobart to a race down Main street. As word caught on, other area artists joined in the race. Soon there were a dozen human powered art sculptures entered to race down Main street that first time. It is noted that neither Hobart nor Jack won that first race.